Thank you for all customers coming for st.Valentine. 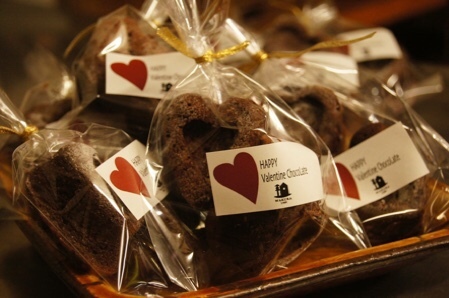 Only for one month heart-shaped Gateau Chocolate. Let's see you again next year. The window is opened fully. I love this cold atmosphere. Well, we are Open today. Thankyou. It is an announcement of limited-time products. Use cacao 70% cuberuture luxuriously. It finished in a heart shape.